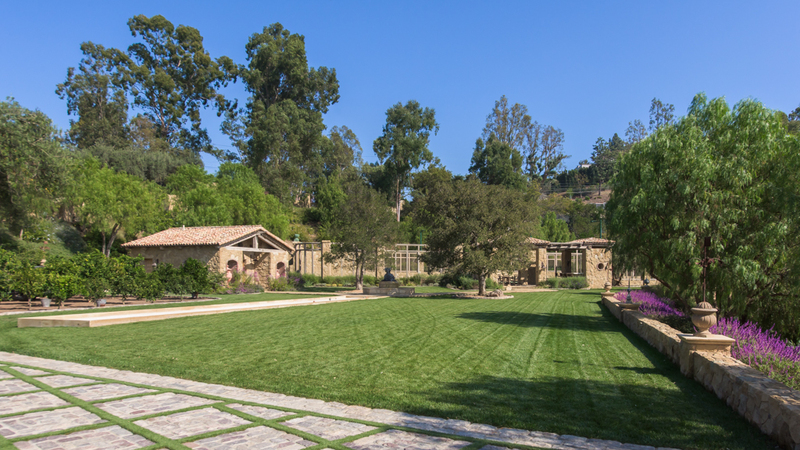 Lavish and luxurious, no detail has been overlooked in the creation of this magnificent Beverly Hills Tuscan compound. 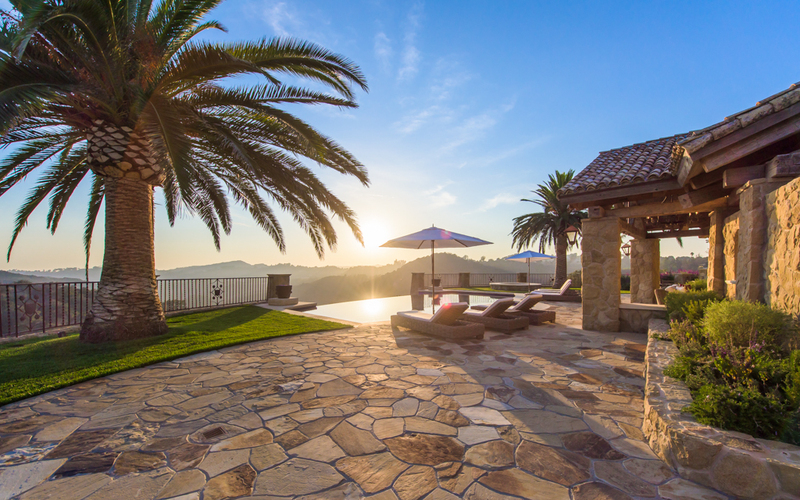 Exquisitely sited on over 10.5 acres, Villa Colibri commands panoramic, unobstructed canyon and mountain views. 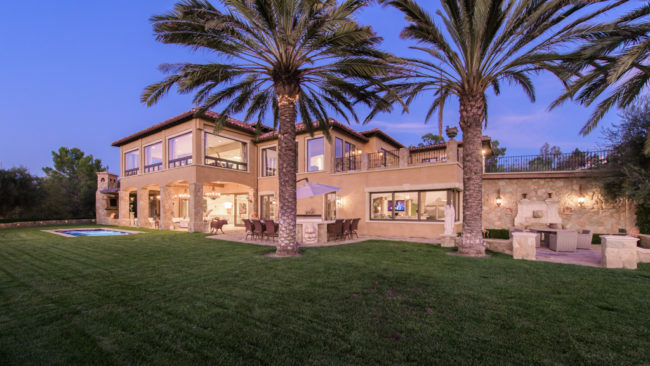 Complete with a double-gated entry, two swimming pools and a reflecting/wading pool, pool house and loggia, tennis court and pavilion, bocce ball court, expansive gardens, a private golf course, and guest parking for 40-plus vehicles, the estate is refinement itself, with every consideration for a lifestyle of privacy, comfort, and elegance. 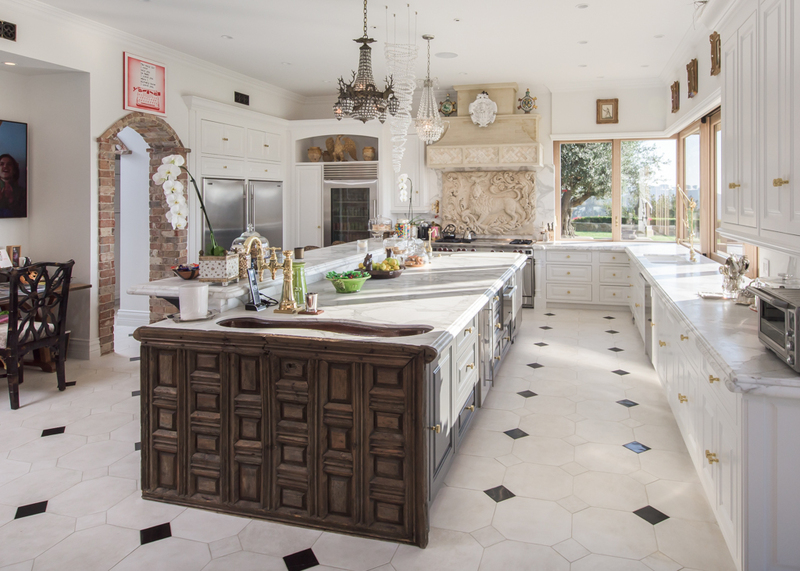 Stunningly proportioned interior and exterior spaces are highlighted with hand-selected sculptural, traditional, and antique elements, gorgeous materials, and refined finishes. Double front doors open onto a breathtaking vista: overhead, a very rare, early 19th-century Murano glass chandelier; underfoot, seamless French limestone; to each side, a sweeping staircase with silver-leafed scrollwork rises to a vast mezzanine, lounge, and the two master suites with a private terrace; ahead, a truly majestic great room with coffered and lighted ceilings, 17th-century trumeau fireplace, vanishing walls to an outdoor living room, and beyond, the incomparable views. 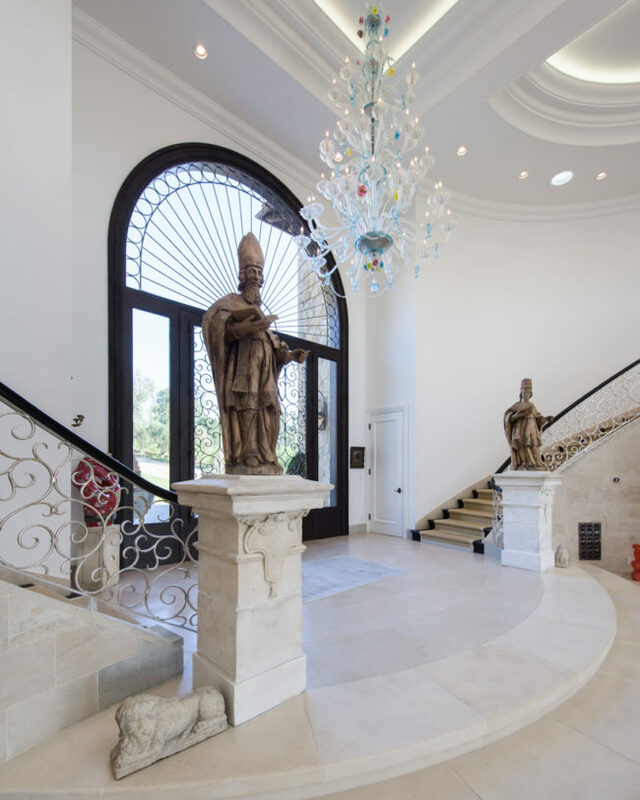 A graceful arched doorway opens to the formal dining room with Belgian black walnut herringbone floor, groin vault ceiling of Venitian plaster, and Baccarat chandelier. Behind an antique jail house door is a 600-bottle wine cellar, and through a pair of 17th-century Spanish doors is a handsome den/library with an 18th-century stone fireplace. The kitchen, with its huge island, butler’s pantry, and disappearing corner window-wall onto the adjacent patio, will inspire the most discerning chef and please the most ambitious entertainer. 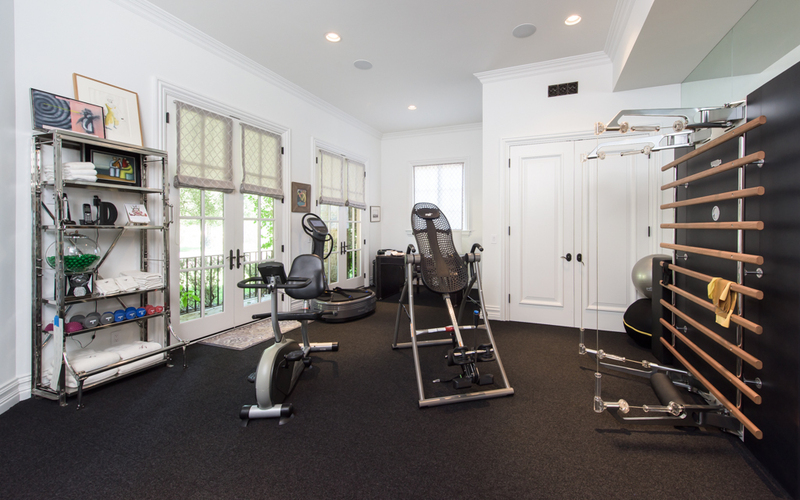 Interior features of the main house include three additional en-suite bedrooms with private entries, a gym with bath, two luxurious powder rooms, theatre room with bath, and a study/game loft. The tranquil, park-like grounds are terraced and landscaped with gorgeous mature trees, impressive sculptures, and gardens. 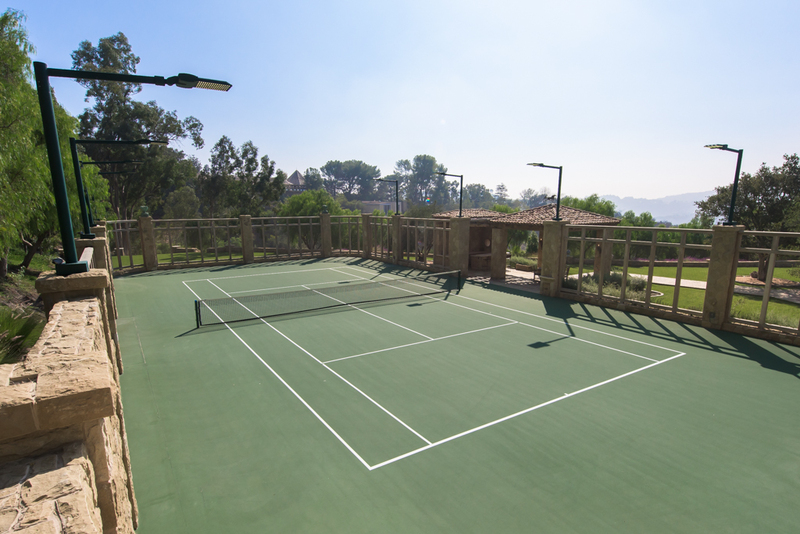 Numerous outdoor entertaining areas include two covered patios, built-in barbecue center, and two fountains. 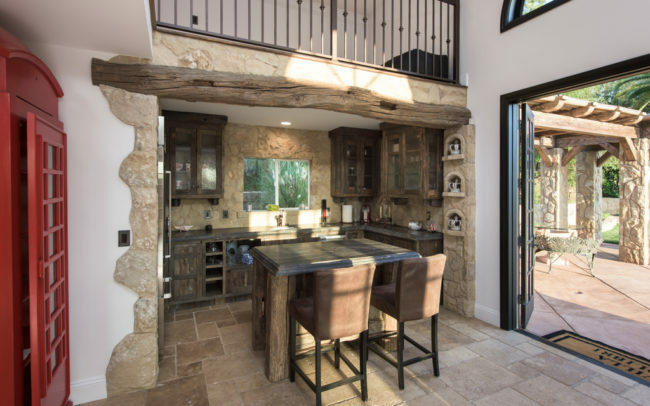 Serving the pool on the upper level is a pool house complete with a kitchen/bar area, bathroom, loft with four bunkbeds, fireplaces inside and out, storage room, a bamboo covered walkway, and a path to seven raised herb garden planters. At the lower infinity-edge pool, with Jacuzzi, is a cabana with wet bar, half bath, fireplace, and two fire pits. 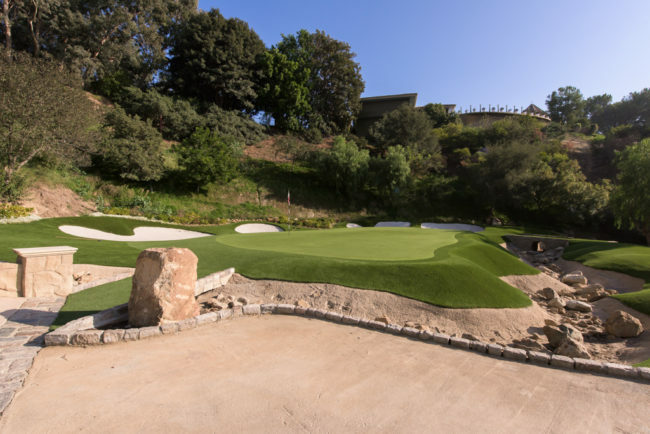 The lower grounds also include a tennis court and cabana, bocce court, bath/dressing pavilion with two half-baths, a citrus grove, a meandering paved cart path, and the estate’s remarkable golf course. Designed by Dean Reinmuth, the course has two greens, four tee boxes, and four hole placements on each green for a total of 28 holes. The design of one green is inspired by the historic Rae’s Creek at the 13th green of the Augusta National Golf Club. This is surely one of California’s legacy estates, an achievement of exceptional quality and rare beauty. Lavish and luxurious, no detail has been overlooked in the creation of this magnificent Beverly Hills Tuscan compound. Exquisitely sited on over 10.5 acres, Villa Colibri commands panoramic, unobstructed canyon and mountain views. 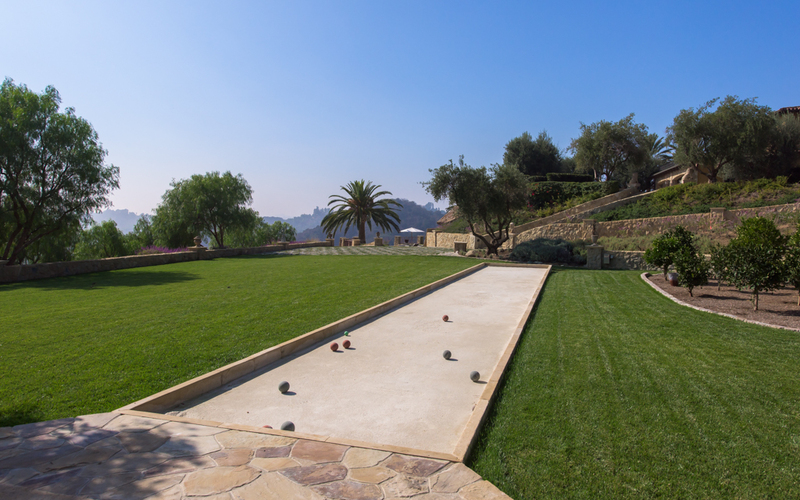 Complete with a double-gated entry, two swimming pools and a reflecting/wading pool, pool house and loggia, tennis court and pavilion, bocce ball court, expansive gardens, a private golf course, and guest parking for 40-plus vehicles, the estate is refinement itself, with every consideration for a lifestyle of privacy, comfort, and elegance. 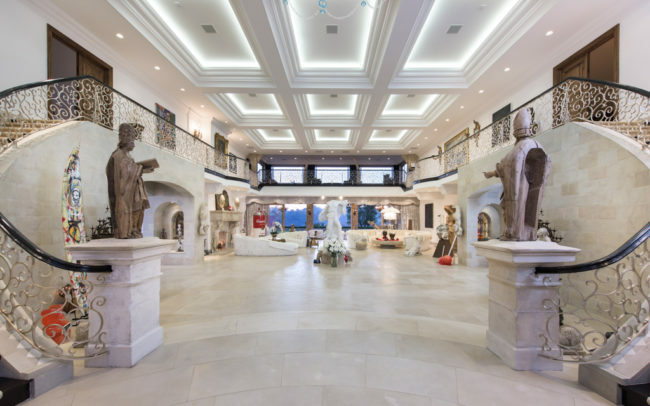 Stunningly proportioned interior and exterior spaces are highlighted with hand-selected sculptural, traditional, and antique elements, gorgeous materials, and refined finishes. Double front doors open onto a breathtaking vista: overhead, a very rare, early 19th-century Murano glass chandelier; underfoot, seamless French limestone; to each side, a sweeping staircase with silver-leafed scrollwork rises to a vast mezzanine, lounge, and the two master suites with a private terrace; ahead, a truly majestic great room with coffered and lighted ceilings, 17th-century trumeau fireplace, vanishing walls to an outdoor living room, and beyond, the incomparable views. 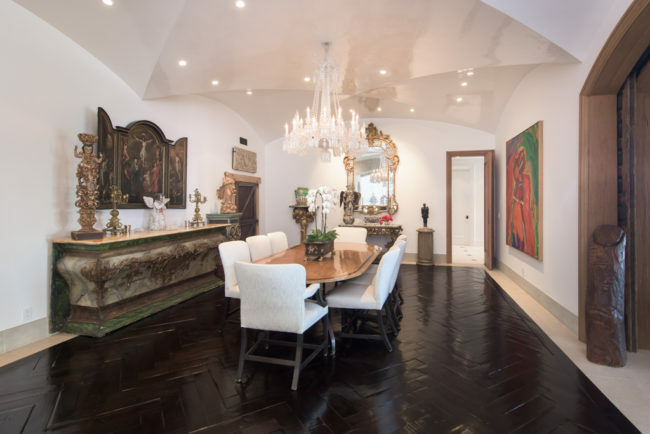 A graceful arched doorway opens to the formal dining room with Belgian black walnut herringbone floor, groin vault ceiling of Venitian plaster, and Baccarat chandelier. 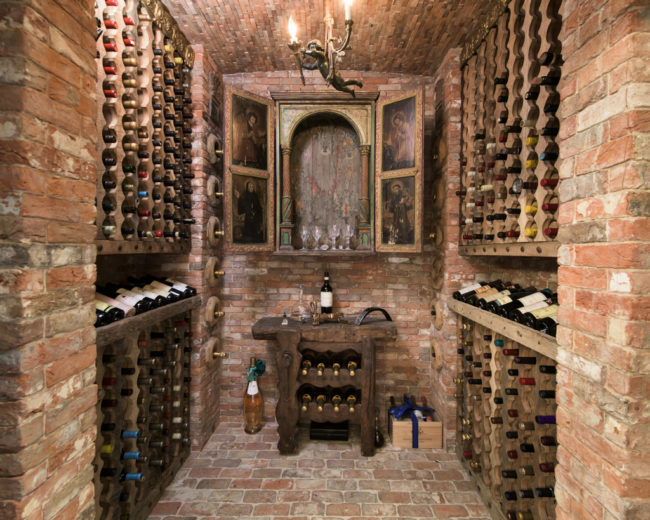 Behind an antique jail house door is a 600-bottle wine cellar, and through a pair of 17th-century Spanish doors is a handsome den/library with an 18th-century stone fireplace. The kitchen, with its huge island, butler’s pantry, and disappearing corner window-wall onto the adjacent patio, will inspire the most discerning chef and please the most ambitious entertainer. 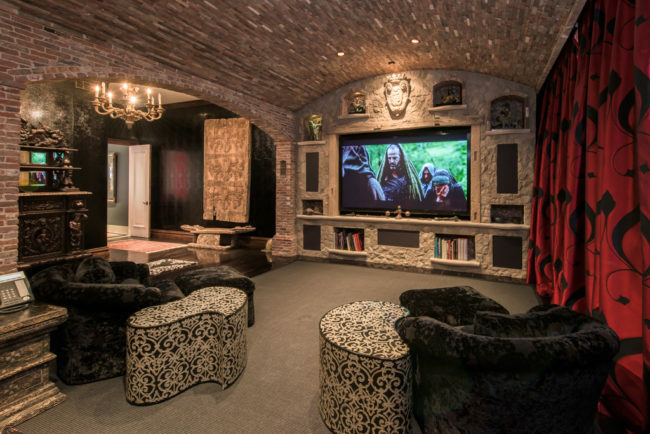 Interior features of the main house include three additional en-suite bedrooms with private entries, a gym with bath, two luxurious powder rooms, theatre room with bath, and a study/game loft. The tranquil, park-like grounds are terraced and landscaped with gorgeous mature trees, impressive sculptures, and gardens. Numerous outdoor entertaining areas include two covered patios, built-in barbecue center, and two fountains. Serving the pool on the upper level is a pool house complete with a kitchen/bar area, bathroom, loft with four bunkbeds, fireplaces inside and out, storage room, a bamboo covered walkway, and a path to seven raised herb garden planters. 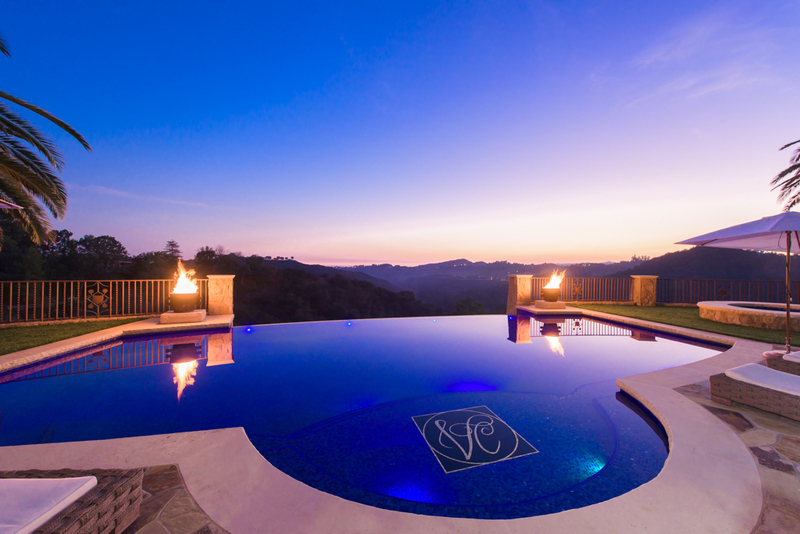 At the lower infinity-edge pool, with Jacuzzi, is a cabana with wet bar, half bath, fireplace, and two fire pits. 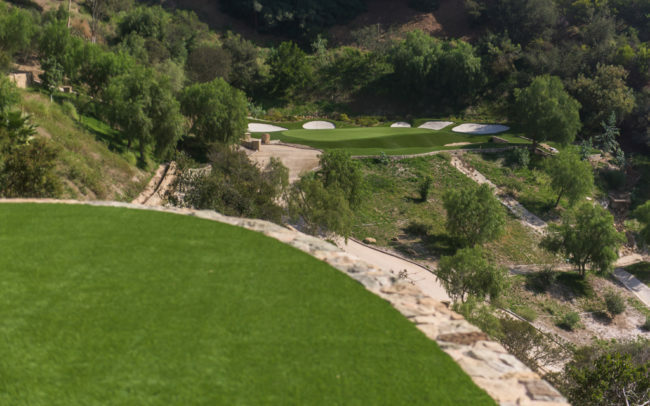 The lower grounds also include a tennis court and cabana, bocce court, bath/dressing pavilion with two half-baths, a citrus grove, a meandering paved cart path, and the estate’s remarkable golf course. 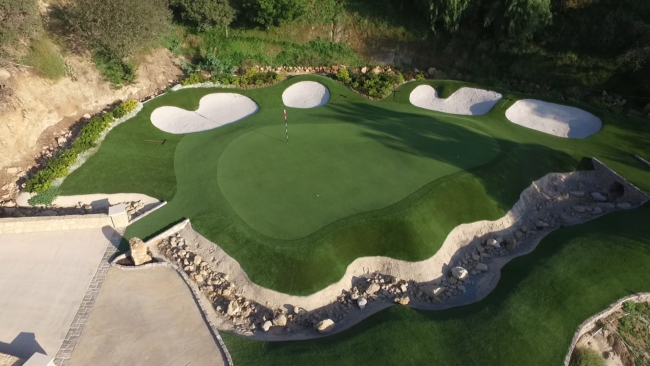 Designed by Dean Reinmuth, the course has two greens, four tee boxes, and four hole placements on each green for a total of 28 holes. 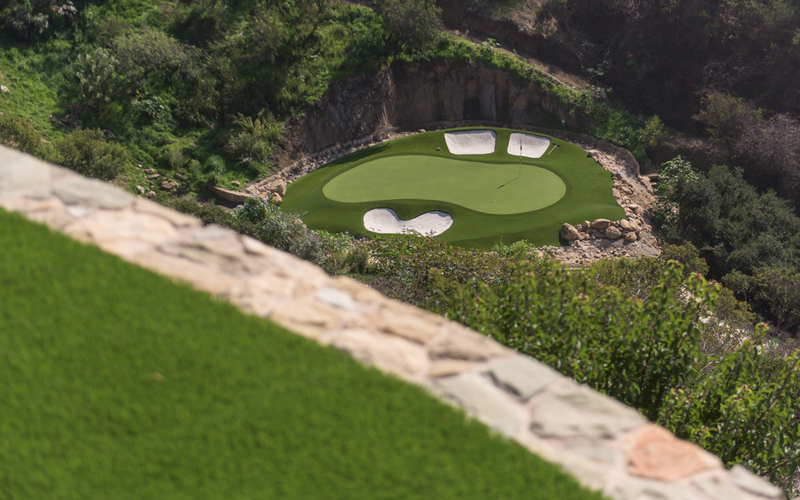 The design of one green is inspired by the historic Rae's Creek at the 13th green of the Augusta National Golf Club. 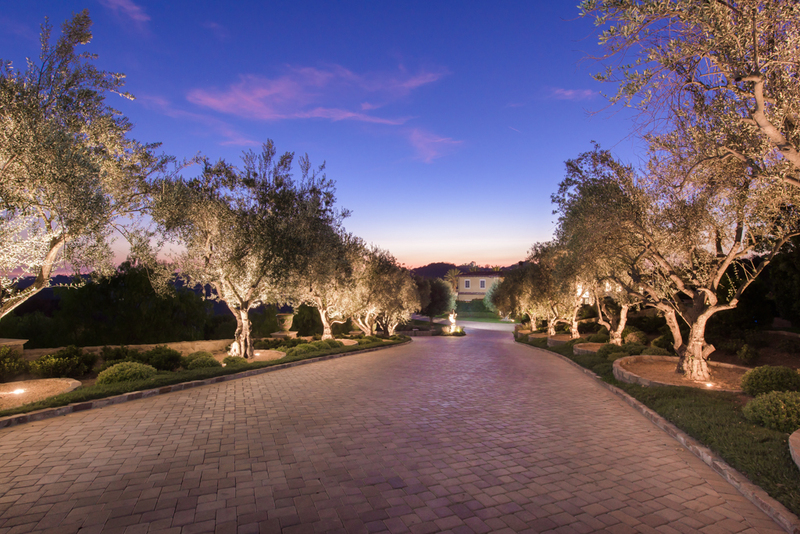 This is surely one of California’s legacy estates, an achievement of exceptional quality and rare beauty.